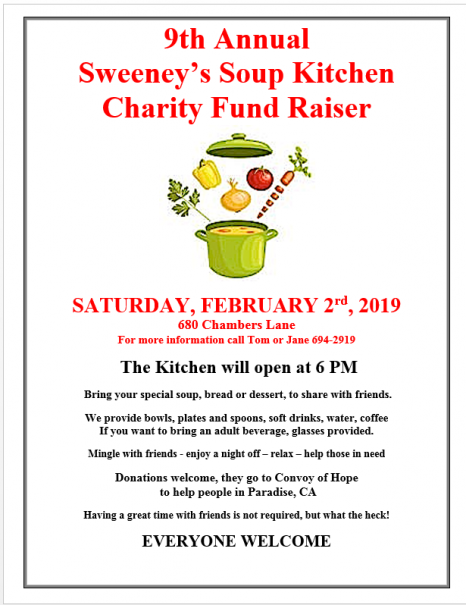 Saturday, February 2, 2019 – The Sweeney’s will be once again opening their Kitchen at 6pm for your chance to mingle with friends while raising money for a good cause. Bring your special soup, bread or dessert to share. 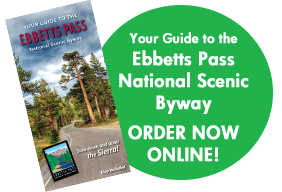 The Sweeney’s will provide the bowls, plates, spoons, drinks and other necessities. Feel free to bring your favorite adult beverage. Donations will be going to Convoy of Hope to help the people of Paradise, California. 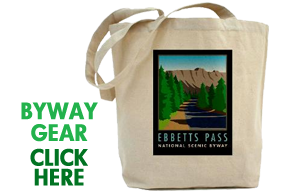 For more information, contact Tom or Jane at 530-694-2919.